Offer valid only on hotel bookings. Get to select hotel at Tajawal. · RBL Bank Offer: Flat 30% OFF on Hotel Bookings. · OYO Last Minute Deals: Minimum 35% OFF + Extra 25% OFF. Get Upto Rs. 100 Extra Cashback From Atsshopping. Flat Rs 450 OFF On t Treebo hotels. Get To Select Hotel From TreeboHotels.com. Click To Avail The Offer. Grab Flat 25% OFF On Hotel Bookings at Treebo hotels. Book Your Stay In GOA At Flat 22% Discount at Treebo hotels. Get Flat 30% OFF On Hotel Bookings at Treebo hotels. 50% OFF + Extra Flat 20% OFF On All Hotels Booking. Get Upto 40% OFF on Hotel Booking in Bangkok At alkamilbooking. Now Book Hotel Rs. 428 At Travelguru. 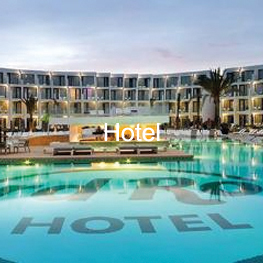 Get To Select Hotel From Travelguru. Get Upto 20% OFF on Hotels At Expedia. Get To Select Hotel From TreeboHotels.com . Click To Avail The Offer Only for axis bank costumer..
Get Upto 45% OFF on Hotels At Expedia. Get Upto 50% OFF on Hotels At Expedia.